Blind Willie Johnson was a guitar evangelist who sang and recorded his music in the early part of the twentieth century.His music is still much appreciated today,in it's own right and on Film and TV Soundtracks etc. A powerful,charismatic singer and one of the greatest ever slide guitarists who influenced all the top blues,gospel,rock and country guitarists who heard his playing. The Man...All of his known biographical details are presented here. 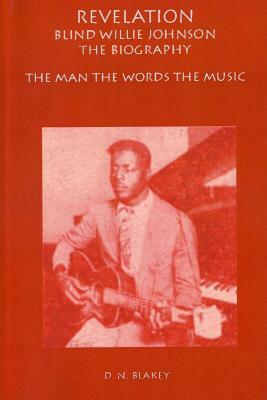 The Words...All of his recorded songs, fully explained and deciphered for the first time here. It's like the Blind Willie Johnson Rosetta Stone! The Music...All his guitar playing from his thirty recordings examined here. Near Excellent condition. Slight cover bending. Ships for the price of 3 records.